Caption slip reads: "Photographer: Snow. Date: 08-10. Reporter: Parsons. Assignment: Safety Award. Special instructions: Santa Ana page. 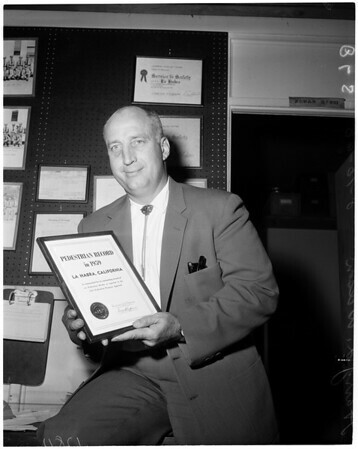 Harry L. Wilson, chief of police of La Habra, with pedestrian safety award."